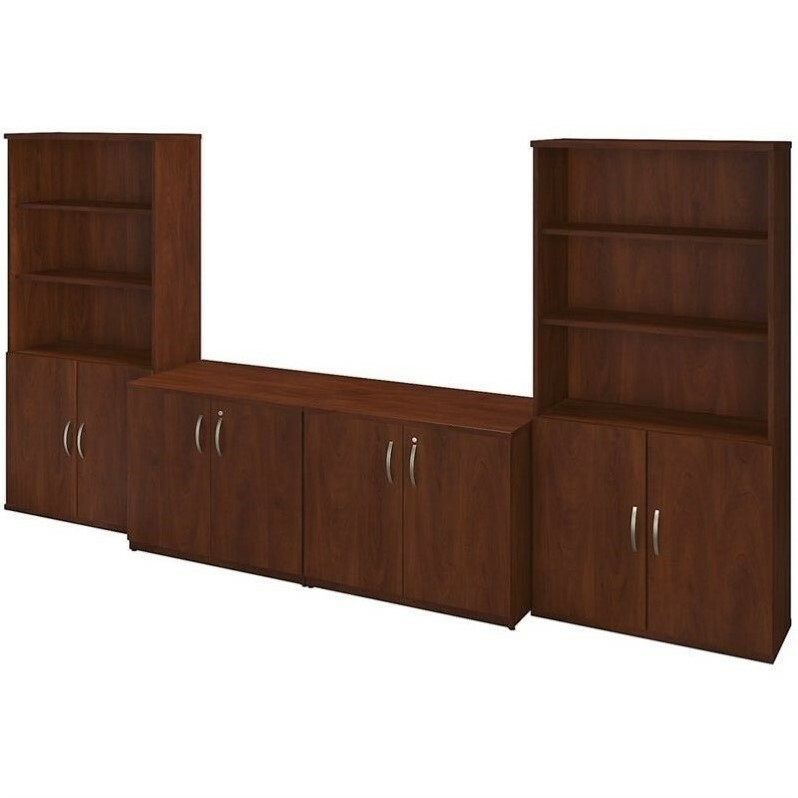 Bush Business Furniture 66H 5 Shelf Bookcase in Hansen Cherry - in stock! Move 80 Series 48W x 30D Height Adjustable Standing Desk in Cherry - in stock! 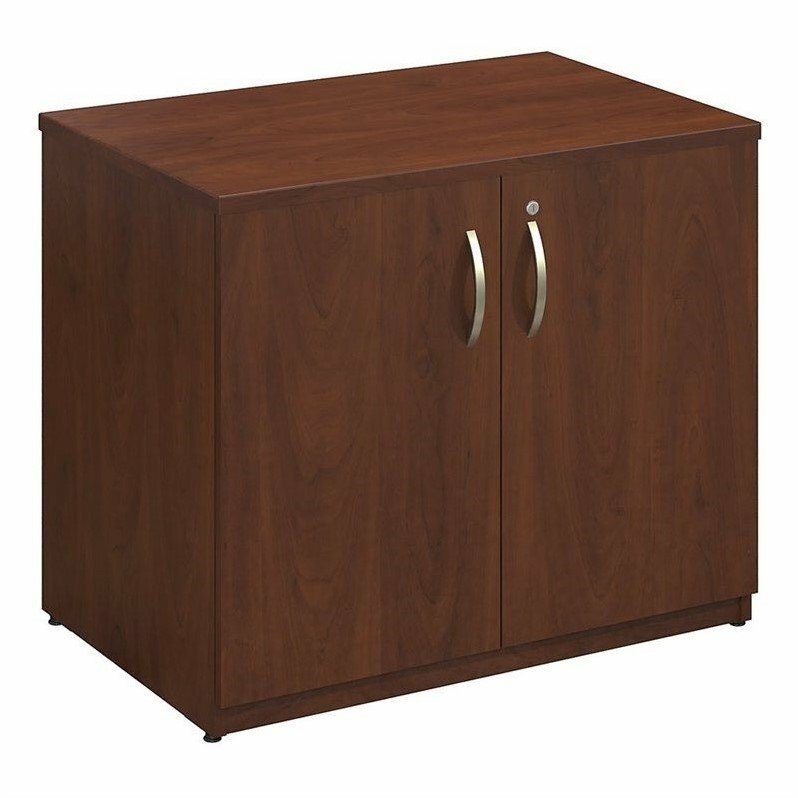 Meet your office work and storage needs with the Series C Elite 36W Storage Cabinet, 36W x 16D 5 Shelf Bookcase and Half Height Doors Storage combination by Bush Business Furniture. 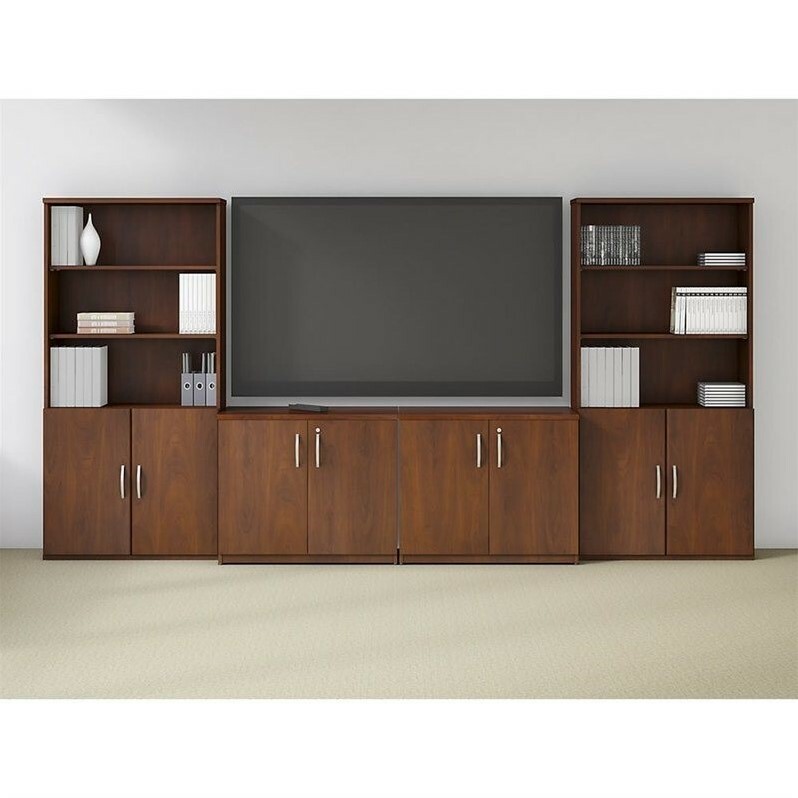 This preconfigured Hansen Cherry storage set is perfect for conference areas or executive offices for displaying photos, reference material, books and binders. 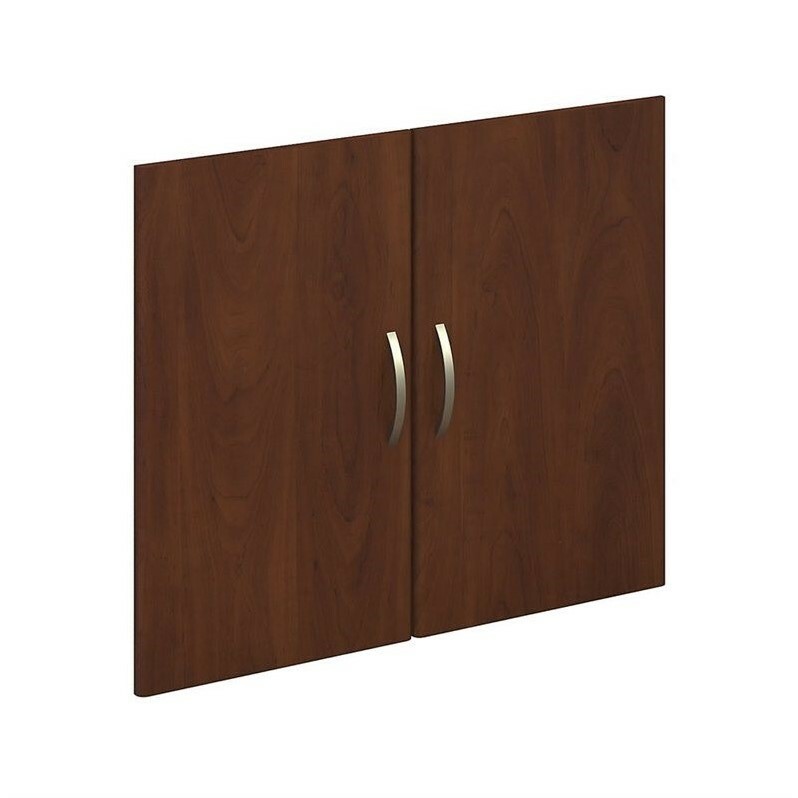 Cabinets include face front lock with interchangeable core that secures both left and right doors for added privacy. 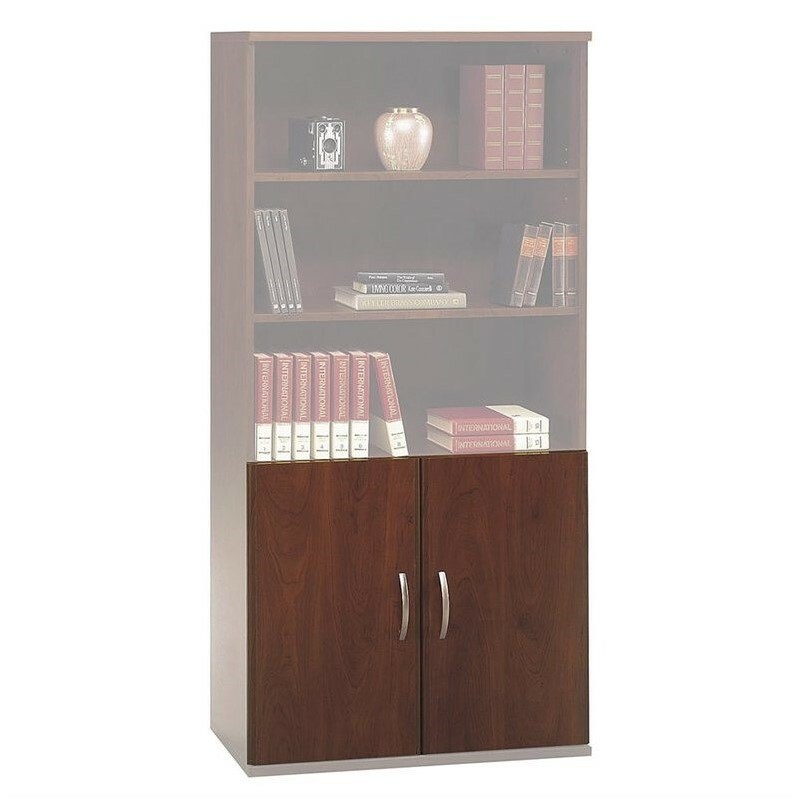 Bookcase tested to accommodate up to 50 lbs. 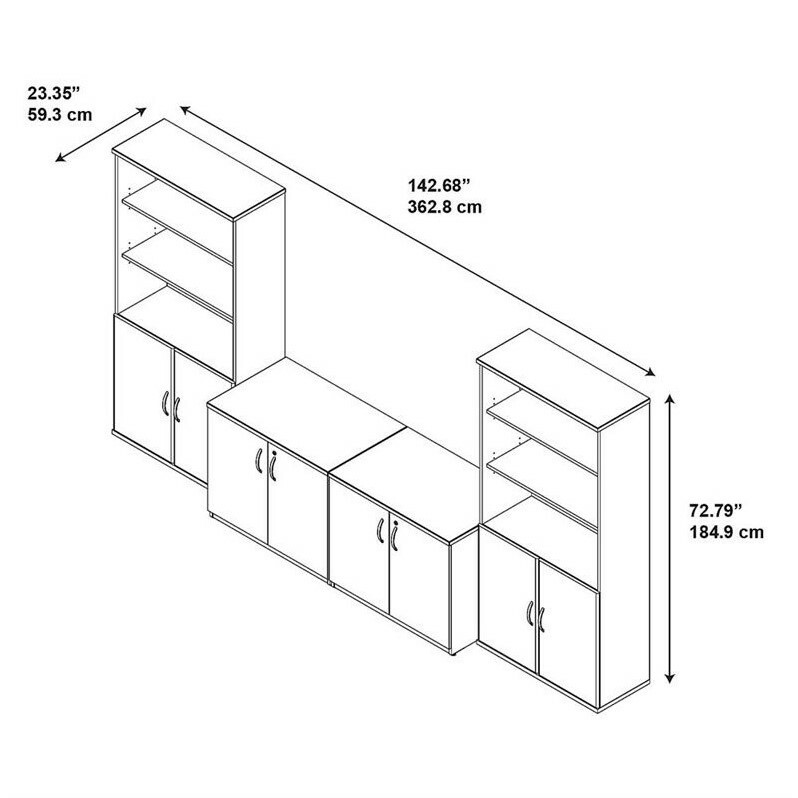 featuring two fixed shelves and three adjustable shelves for storage customization. 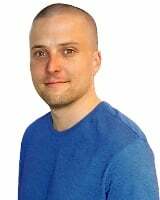 Enjoy proven quality construction for strength and long term use. Commercial quality backed by 10-year warranty, Meets ANSI/BIFMA standards for safety and performance. American made with U.S. and imported parts.